FamilySearch has made a new landing page to search their United States Civil War databases. This entry was posted in Uncategorized on May 30, 2016 by mjnrootdig. When you enter FamilySearch, you see this at the top of the screen “U.S. 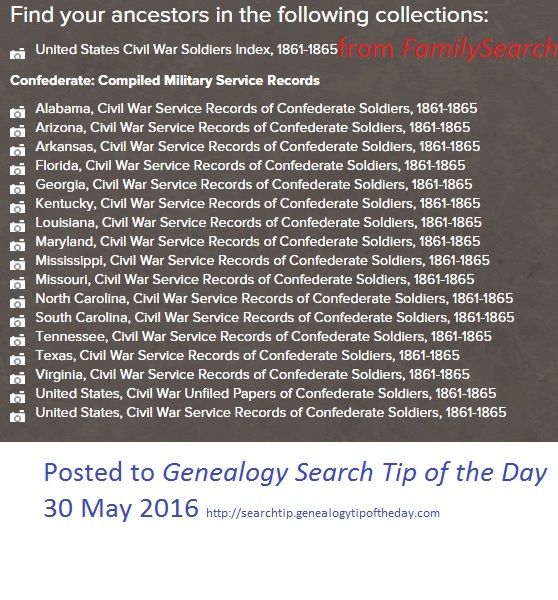 Civil War Era Records: Free Access.” They fail to mention that you need to go to a partner site – Fold3 to see the compiled service records!